Known for content-driven films and for taking risks, Dinesh Vijan who introduced the unexplored genre horror comedy to Indian Cinema has now also swept umpteen awards at a recent awards function. It was a big payoff to the entire team of Stree. The film has not only earned commercial success but was also critically acclaimed. 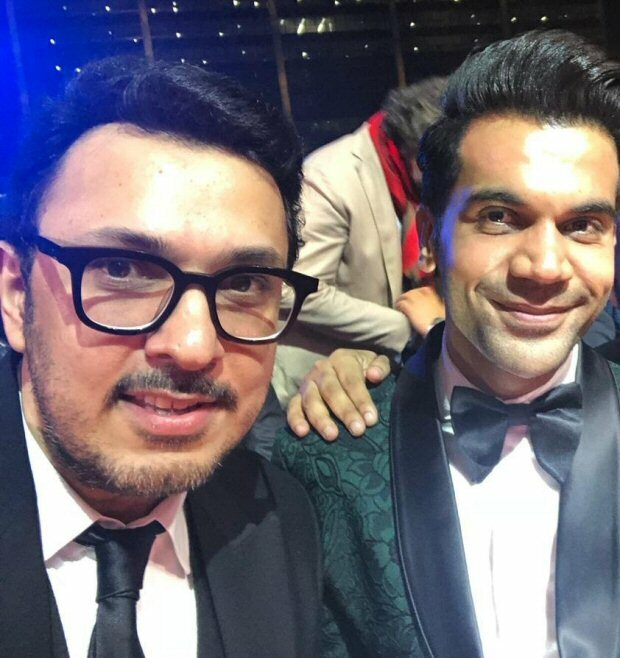 At the dawn of the award season, Dinesh Vijan’s film Stree has already bagged five awards across categories. The film received rave reviews and did phenomenally well at the box office entering the Rs 100 cr club. After Stree and Made In China, the winning combination duo will be working on this untitled horror-comedy, which rolls early next year. Confirming the news Dinesh, who flew off early this morning on his honeymoon, said, the entire team of Stree is overwhelmed with so much love it has received. “Yes, Raj and I are back and I couldn’t be happier as he is one of the most talented actors we have today. I am extremely happy and proud for Raj bagging the best actor award,” said Dinesh. However, the female lead is not yet locked, on further probing Vijan adds, “The female lead is an exciting character, much like Stree she too will be the focal point and game changer for the film. It’s definitely going to be a laugh riot off and on set! “We will just have to wait and watch as to who lands the part! The untitled film will be creatively directed by Mrigdeep Singh Lamba and also features Fukrey’s Choocha, Varun Sharma. The film also promises the small-town flavour and witty repartee, which has become the trademark of his recent work and will be filmed in Muradabad, Uttar Pradesh. While Stree which has become a trendsetter in the genre revolved around the legend of a visiting spirit to a temple town for three days in a year, this film takes a quirky look at the underbelly of the city along with a paranormal twist! Mrigdeep adds, “Raj and Choocha are a stellar combination that nobody has explored. It will be a delight to watch Raj’s effervescent energy and comic timing match with Choocha’s inherent comical innocence. They are the perfect choice for our protagonists. They are playing characters unlike they have ever played before. Though Raj has proved his comic timing in films like Bareilly Ki Barfi and Stree, here he will have to shed every bit of himself and get into the skin of this self-proclaimed village hero, who is actually a fool. Next articleYami Gautam becomes the face for World Wildlife Fund and Traffic India’s Super Sniffers campaign!